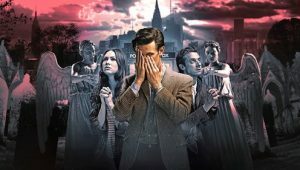 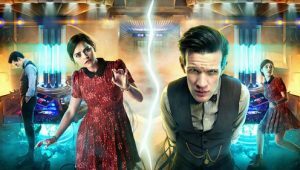 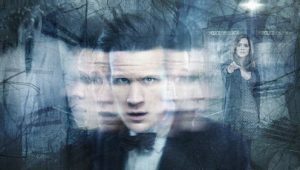 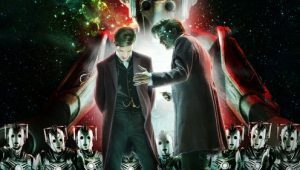 The seventh series of the British science fiction television series Doctor Who aired from 1 September 2012 to 18 May 2013, being split into two parts, as with the previous series. 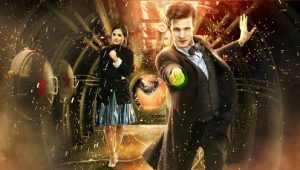 The series was broadcast concurrently on BBC One in the United Kingdom, BBC America in the United States, and on Space in Canada, and also on ABC in Australia, with the first five episodes released a week after its UK and North American release and the remainder released the next day. 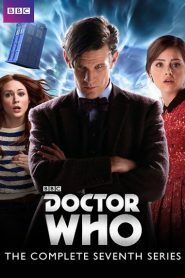 Following its premiere on 1 September 2012, the series aired weekly until 29 September 2012. 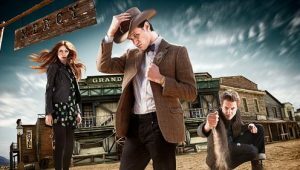 Six episodes were broadcast in 2012, including the 2012 Christmas special, “The Snowmen”, which aired separately from the main series. 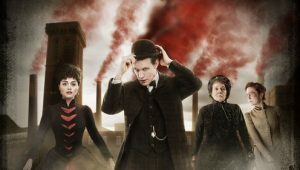 The remaining eight episodes began broadcasting on 30 March 2013. 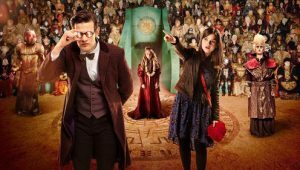 “The Snowmen” introduced a new TARDIS interior, title sequence, theme tune, and costume for the Doctor. 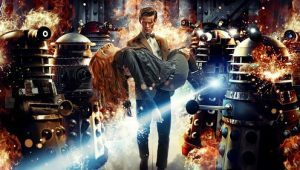 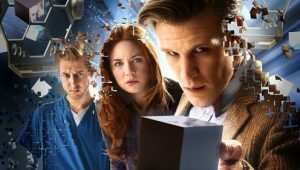 Doctor Who’s seventh series was the show’s third and final series in which Matt Smith, Karen Gillan and Arthur Darvill played the eleventh incarnation of the Doctor and his companions Amy Pond and Rory Williams respectively. 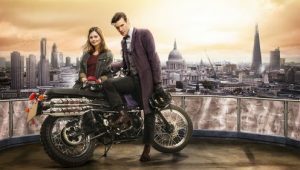 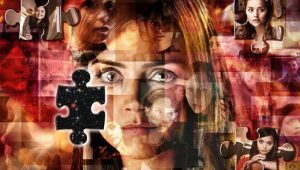 Gillan and Darvill departed the series in the fifth episode, after which a new companion named Clara Oswald joined the Doctor, played by Jenna-Louise Coleman, remaining with the series for its second half. 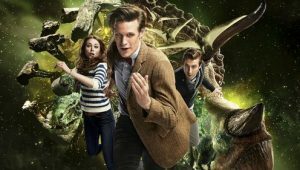 Smith stayed for one year longer than Gillan and Darvill, and will depart the series after the 2013 specials.